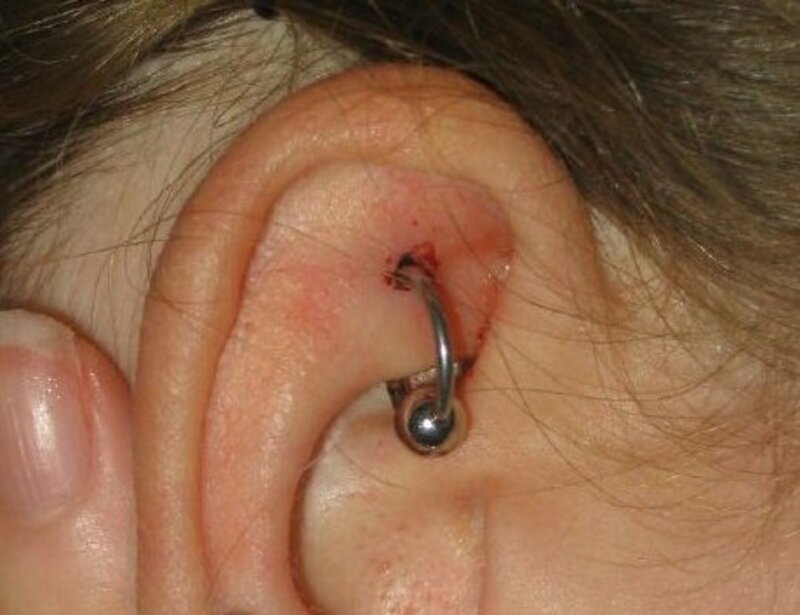 An infected rook piercing can be quite painful. When you initially get a piercing, you should follow your body artist's instructions as closely as possible. Body piercings can take a long time to heal. You may sometimes find yourself with the stress of an infected rook piercing a month or two months after you've gotten work done. 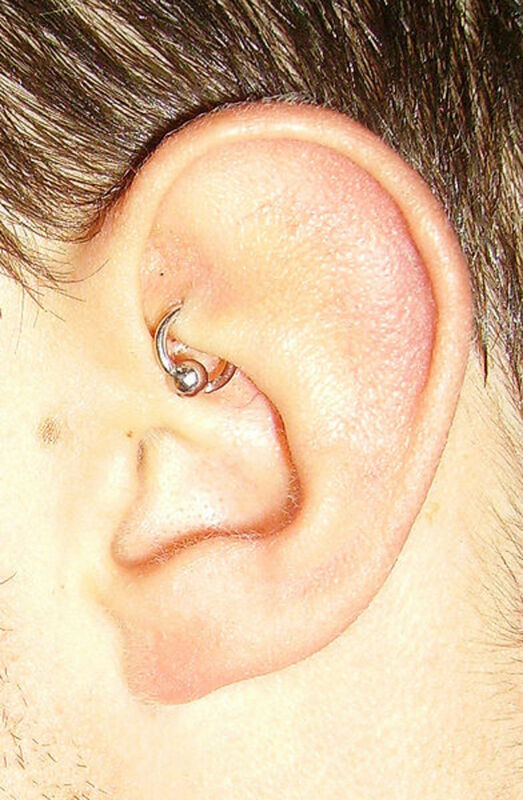 Infected Rook Piercing Symptoms- What Causes Body Piercing Infections? An infected rook piercing or any other type of infected body piercing usually develops when proper care is not taken with the piercing while it is healing. This is one reason why some people choose to delay getting a piercing until they have the time to care for it properly. You may also develop an infected rook piercing if you touch the jewelry or the skin around it too often. Your skin normally has many different microorganisms on it. Some of them are beneficial, some are not. By touching your body piercing, you may transfer some of the germs from your hands to what can basically be thought of as a fresh wound. Wash your piercing carefully with warm salt water. The chief way to limit your chances of getting your piercing infected involves choosing a highly rated piercer who operates under sanitary conditions. Someone who follows the health regulations in their area to a t is less likely to have germs on their hands or instruments that could cause you to develop an infected rook piercing later on. Infected rook piercing symptoms will usually make you uncomfortable. If your body piercing is infected, you are likely to notice that something is wrong pretty quickly. You may notice a bump or swelling, or smell a foul odor around the piercing. You can clean it while you are in the bath and at other times of the day. Unusual pain and a fever are likely to be signs that you notice as well. Generally, the discharge from an infected rook piercing will be yellow or green. The moment you notice any of these infected rook piercing symptoms, you should take steps to deal with the infection. Salt soaks are great for treating an infected rook piercing. You can start using this treatment method instantly. Most people already have salt in their kitchen. It is a fairly cheap way to kill the germs that cause an infection. When you are using a salt soak for a body piercing infection, make sure the salt solution is not so concentrated that you burn your skin. Try to use the salt soak for treating a body piercing infection at least twice a day. "I cannot tell you how much of an impact it played on the healing process. Our navels were healed months earlier than the estimated healing time period (8 months - 1 year I was told when I got it done)"
"My friend suggested H2Ocean. After 3 DAYS my ear was completely healed! No more bump, no more swelling. I love this product and recommend it to everyone. I probably don't even need it anymore but I still use it once a week, just because it feels good. Oh! It also helps get rid of acne! I read that in an amazon review, so I tried it and it works!!" The infection looks painful and I don't advise anyone going through such issues. 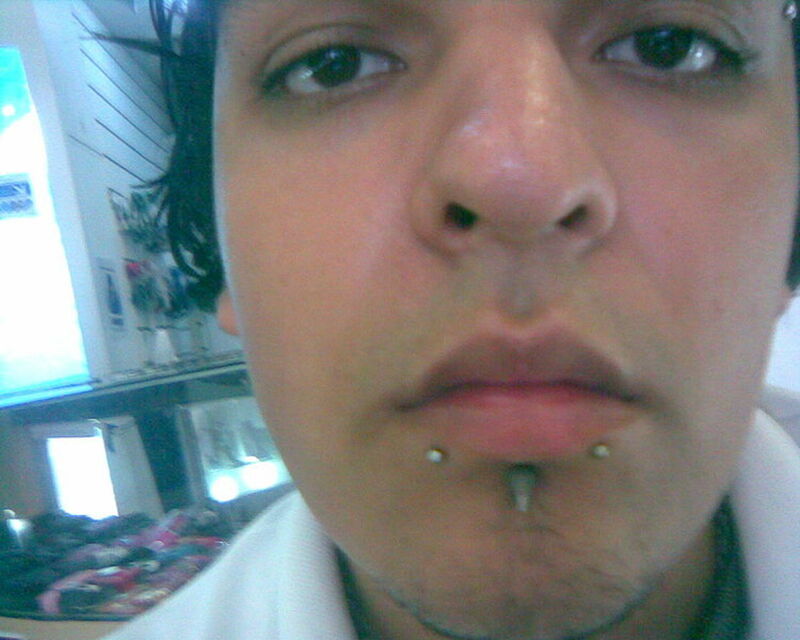 Your well-advised hub teaches many individuals about piercing.